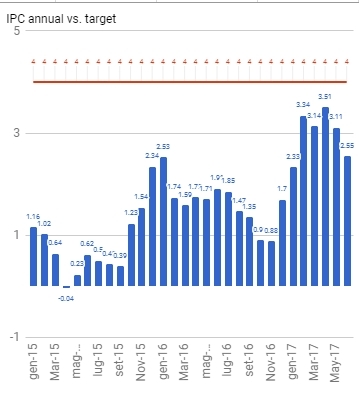 Annual inflation rate was 3.8% in September just below the 4% BCRD target. 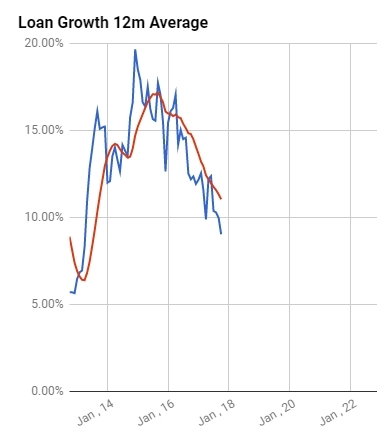 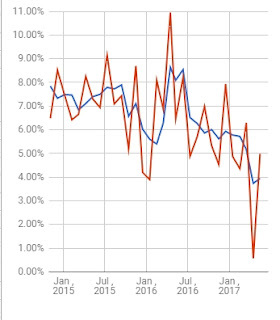 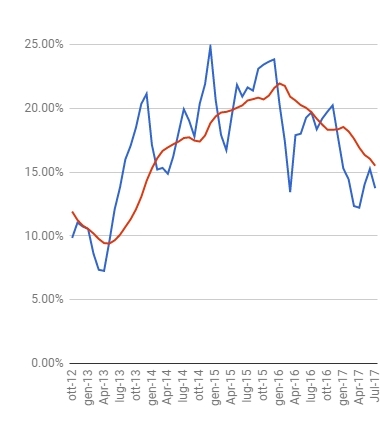 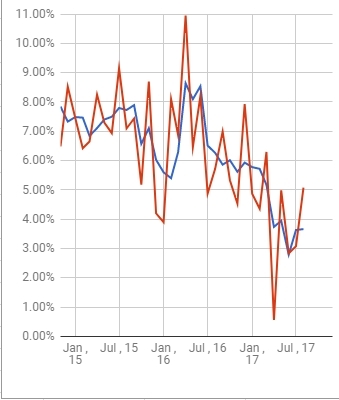 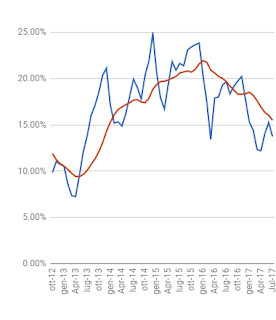 Economic activity has not already showed too much reaction to the more accomodative BCRD monetary policy: the monthly indicator of economic activity has stopped its downtrend and it may have bottomed while the loans dynamic remain in its downward trend. 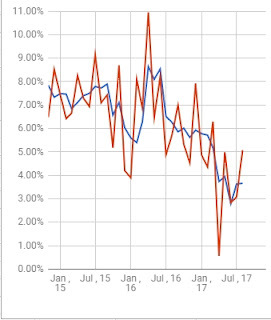 Hard currency inflows from tourism and foreign remittances remain strong showing solid growth rates. 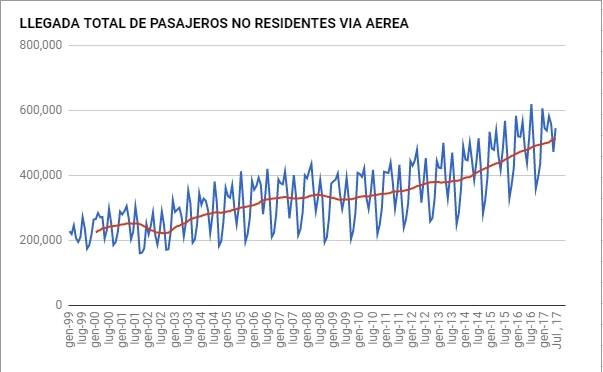 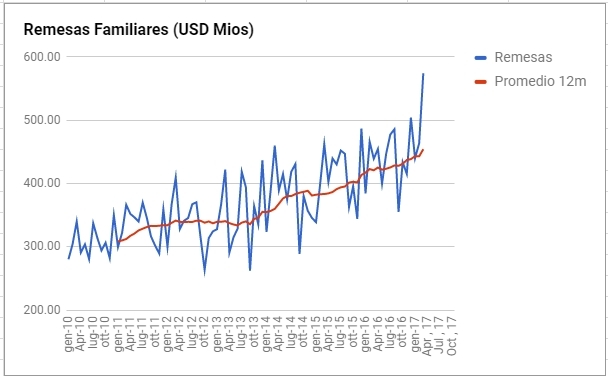 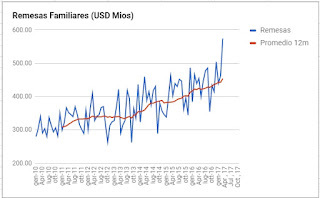 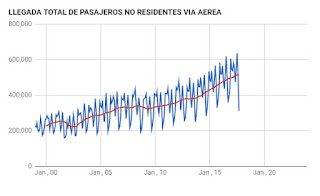 September 2017 low foreigners' arrival in the Dominican ariport are clearly a result of the bad hurrican season (IRMA and MARIA) and should be trated as an outlier. 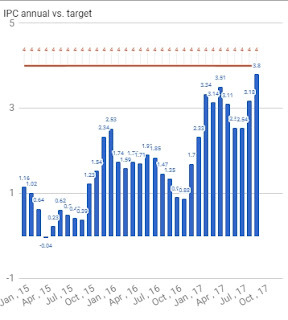 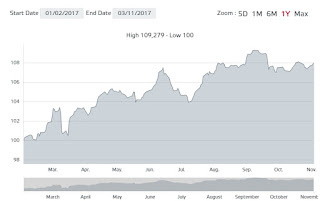 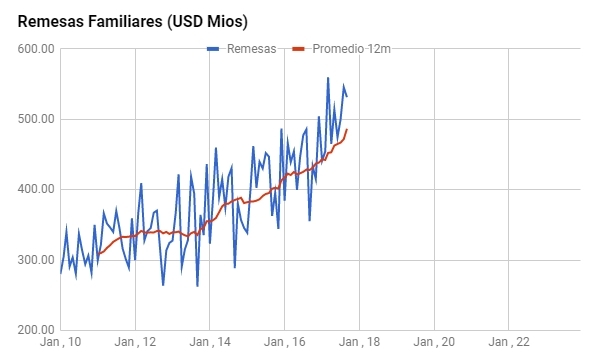 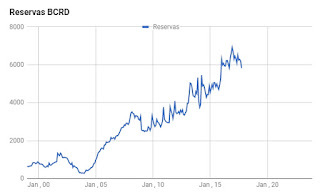 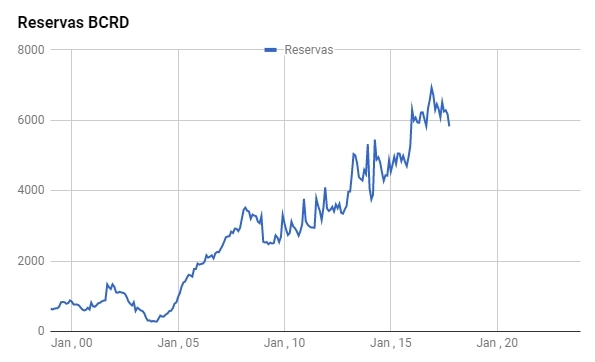 The Dominican Republic 5.95% USD sovereign bond maturing in 2027 is still very well bid trading close to its all time high (and lowest spread over Treasuries) and has not showed any sign of weakness or contagion so far despite some emerging markets concern about Venezuela debt restructury. 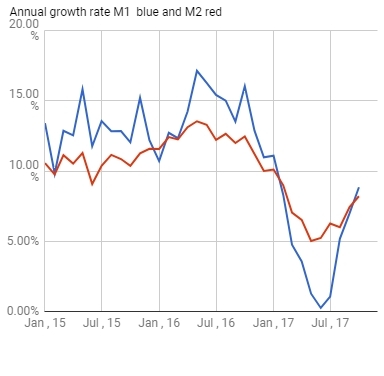 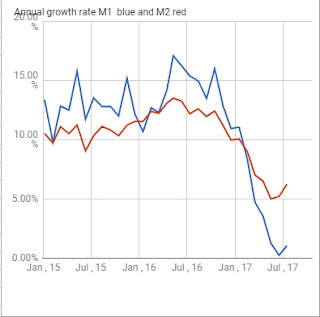 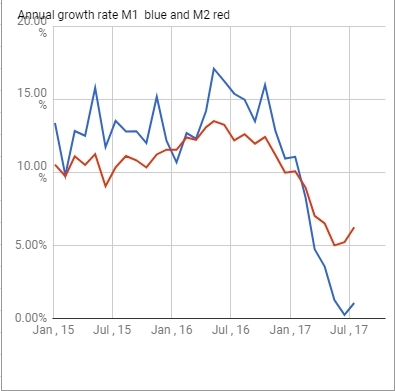 With the central bank focused on keeping in check the main monetary aggregates a moderate groth rate of manufacturing activity is not surprising: the IMAE index indicating a 4 to 5% growth rate well be low last year average. 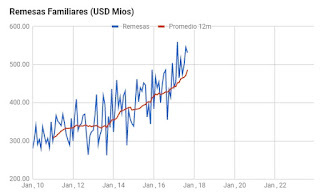 The Jan 27 5.95% USD bond of the Dominican Republic is well bid trading around a 5.18% yield level signaling good market confidence and optimism in the Dominican Republic: the yield is higher than last month but this is the result of year US long term rates with the spread over the US treasury stable at approximately 290/300 basis points.